Pelosi has a habit of quoting a line that she says is in the Bible. In fact, the California Democrat has delivered the line 11 times between 2002 and 2018 on the Congressional Record, according to Business Insider. "To minister to the needs of God's creation is an act of worship. To ignore those needs is to dishonour the God who made us," Pelosi says. 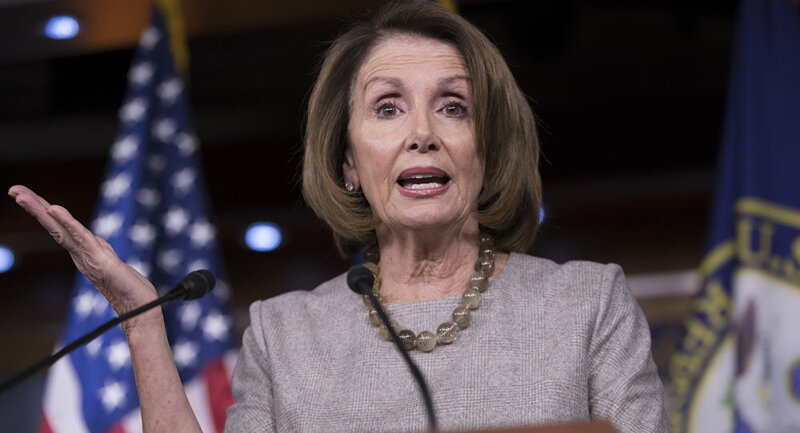 However, during an event with a group of Christian colleges this week, Pelosi conceded that the message might not be biblical. "I can't find it in the Bible, but I quote it all the time," Pelosi, who is Catholic, told the audience, "I keep reading and reading the Bible —I know it's there someplace. It's supposed to be in Isaiah." Politicians often use Biblical quotes to appeal to Christian audiences. Recently, Rep. Alexandria Ocasio-Cortez and White House press secretary Sarah Huckabee Sanders both used references to the Bible to argue about environmental protection.